At this time of year signs that spring and then summer are on their way are very welcome. This week I’ve been noticing more and more the parks and cities green spaces have been exploding into colour as firstly the snow drops and now the crocuses and daffodils come into their own. Over the coming weeks the colours will only intensify and Edinburgh Council has to take some of the credit in making our city look so beautiful at this time of year. The above sketch on Victoria Park in North Edinburgh was drawn between showers on a bright, cloudy, wet and sunny day in the capital. Enjoy the colour and energy of the current floral display, and why not try and capture it in a watercolour sketch? Laura Stevenson liked this on Facebook. Terri Gill liked this on Facebook. Valerie Boorman liked this on Facebook. Edinburgh Outdoors liked this on Facebook. Nancy Pollot liked this on Facebook. Hilary Meyers Frambes liked this on Facebook. Glynis Ruth Murray liked this on Facebook. Paul Isaacs liked this on Facebook. Elspeth Anderson liked this on Facebook. Laura Adamson liked this on Facebook. Claudia Smith liked this on Facebook. RBGE Publications liked this on Facebook. You’re very welcome, care to share?! Wow now there was a memory flash back that I did not expect. Thanks for the wonderful memory. Smile on my dial! Plus it is a lovely picture. Jonatha Kottler liked this on Facebook. Anita Bergen liked this on Facebook. Elizabeth Reville liked this on Facebook. Laura O’Keefe liked this on Facebook. Briant Holland liked this on Facebook. Magdalena Cabeza liked this on Facebook. Emily Haines Aristotelous liked this on Facebook. Lotus Aherne liked this on Facebook. Sharon Stewart liked this on Facebook. Christine Myers liked this on Facebook. 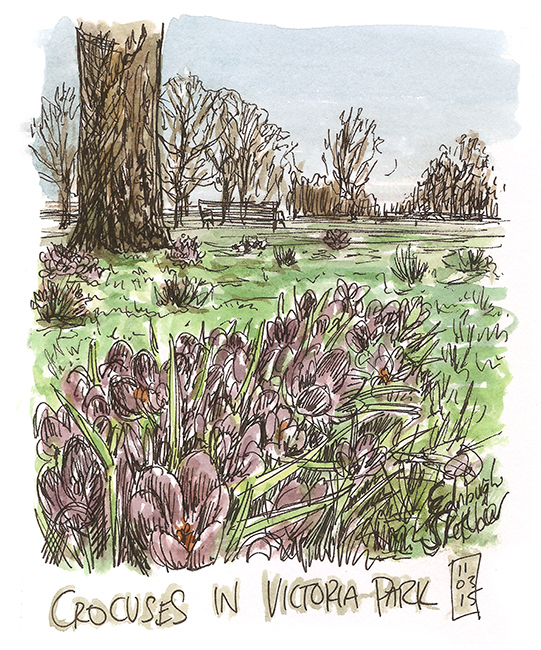 RT @edinsketcher: At this time of year signs that spring and then summer are on their way are very welcome indeed. @edinsketcher Couldn’t agree more. #leith links looks amazing with the paths flanked either side with gorgeous pastel crocuses. @edinsketcher you should have popped in to mine for a coffee!